AJS Embroidery Services Ltd are please to announce the first public showing of the new Tajima “SAI” Super compact embroidery machine at the Co-active – Newtech show Durham. The show will take place from 6pm on the evening of 25th September and from 9am on Tuesday the 26th September at the Hardwick Hall Hotel, Sedgefield, Durham. TS21 2EH. To register for this show please click on the link Show registration Registration is simple and only takes 90 seconds. 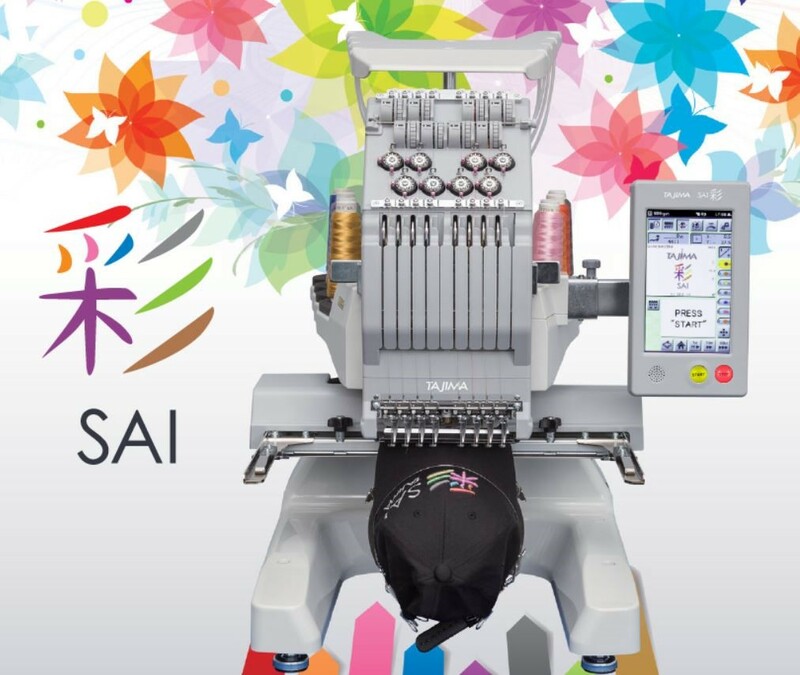 Introducing, SAI a new model that incorporates the technological advancements of the leading embroidery machine manufacturer TAJIMA. It is a super compact and more affordable solution for new embroiderers. With the differences on this machine it can clearly be seen that it was designed by an industrial embroidery machine manufacturer. Stitch quality that is acceptable to an embroidery professional. Production figures that are comparable to an industrial machine. High quality precision parts provide a longer life with lower maintenance. The machine has been designed to include the advancements of TAJIMA and also provide the ease of use of a home market machine. Hello, I have a Tajima tmex-c1501 that I would like to sell or trade in for a smaller machine. can you please give me a price on the new SAI machine.